When you get a mortgage to buy a house, you have to contribute some of your money toward the purchase price in the form of a down payment. With a conventional loan, the amount required is usually 20 percent, and if you don't put down that much, you have to pay for private mortgage insurance. The appraisal of your home can be a key factor in how much private mortgage insurance you need. Private mortgage insurance, commonly known by its acronym, PMI, is a form of insurance that protects the lender against default. A homeowner who puts down less than the required down payment must pay for such insurance, usually with monthly premiums. The cost of PMI depends on how big the mortgage is and how much of a down payment you make. For example, your premiums will be higher on a $300,000 mortgage with a 5 percent down payment than they will be on a $200,000 mortgage with a 10 percent down payment. When you enter into a contract to buy a home, your lender will require that the house be appraised to determine its value. If the initial appraisal comes in higher than what you've agreed to pay for the home, it will increase your equity, which can lower the amount of PMI needed. For example, say you agree to buy a house for $200,000 with 10 percent down, but the house appraises at $210,000. As long as the purchase price remains the same and you don't reduce your down payment amount, you would have $30,000 equity in your home instead of only $20,000. On a percentage basis, your equity would then be a little more than 13 percent rather than 10 percent, meaning the amount of PMI you need is less. The way most PMI policies are structured, the policy will either automatically cease when you reach 22 percent equity in your home based on the original purchase price or you can seek to have it canceled when you reach 20 percent equity. However, you can seek to have it canceled earlier if you think your home has appreciated in value. Say, for example, that based on your mortgage payment schedule, your PMI was scheduled to cease after seven years. However, based on market conditions in your area, you think your house's value has increased enough after only three years to reach 20 percent equity. In this case, your PMI provider would likely require you to pay for an appraisal. If the appraisal comes in with a sufficiently high value, you can cancel your PMI policy early. Another way to get rid of PMI is to refinance your mortgage. Say that in addition to a robust market in your area that is boosting prices, interest rates are also falling. In that case, you might seek to refinance your mortgage to get a lower rate. 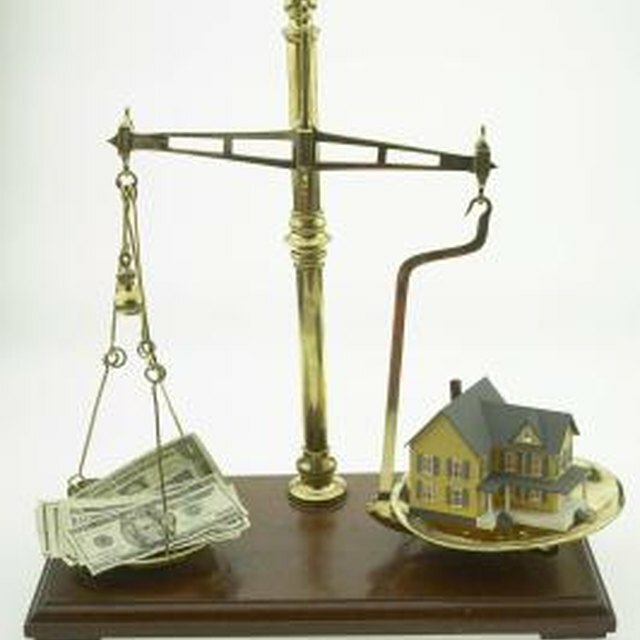 In most instances, the lender considering your refinance will require an appraisal. If the refinance appraisal shows an adequate value to give you 20 percent equity in your home, it will negate the need for PMI on your new mortgage.